Beige carpet tiles are a perfect choice for any area whether home or office. We have an attractive selection in this colour of these high performance low maintenance carpet tiles to choose from, they come in various shades and pile types. Where ever your floor is situated we can offer a Beige Carpet Tile choice, we have ranges suitable for kitchens, conservatories, corridors, meeting rooms, bedrooms and office spaces. Carpet tiles are easy to install and hard wearing, they are removable for cleaning making them a favourite flooring option. 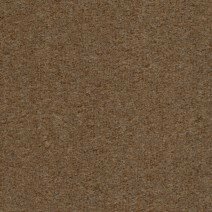 Why not peruse our Beige Carpet Tiles all available at bargain prices, we are certain that you will find the one that suites your needs. Beige Carpet Tiles are a natural, versatile colour, having the ability to add the golden light of a cornfield to your dark room or corridor, as well as being able to blend with a variety of colour schemes such as the favourite magnolia or the more flamboyant colour décors. These colour carpet tiles lay well with other shade choices in the same pile types, allowing for imaginative flooring options. Our Beige carpet tiles come in five tile types which range in price. At the value end we have our 100% polypropylene Astra Beige, this is a popular colour from our Fine Rib range. These durable carpet tiles are especially hard wearing for corridors and meeting areas, although not suitable for offices with castor chairs, they can often be an inexpensive option for the areas with heavy footfall where the feet are not coming in from the elements. The fine rib range are particularly useful if you are wishing to customise your flooring. The Astra Beige can be laid in several different directions each giving a different appearance, for example one way allowing the pile to cause a chequer board pattern or another gives a carpet type effect. The next level on would be our Broad Rib Alderney Beige, as the name suggests these are again a rib tile but the stitching is larger, broader and more pronounced, providing a thick cord effect, these tiles can again take heavy traffic. The Alderney Beige is a warm biscuit coloured carpet tile ideal for any walkways or heavy foot traffic rooms, where you would need a durable flooring option. They have been run at a much heavier pile weight compared to the Astra Beige which is translated through to this tiles thickness. A really good dark beige colour for those looking for a lighter option before heading on towards the brown shades. When looking for an entry level polypropylene Loop Pile carpet tile the choice available in Beige it would be our Rivoli Beige. This is a favourite carpet tile often chosen for the home by our domestic customers, ideal for conservatories, utility rooms and kitchens, they give a fresh, clean look to an area. Our carpet tiles produced from polypropylene are stain resistant, allowing you to lift the carpet tile and wash away any grime or spillage from amongst the fibres, leaving the carpet tile clean to relay. This is a very useful property when used in kitchen and dining spaces. The Rivoli Beige can also be used successfully in commercial situations, why not brighten up your meeting room or office. 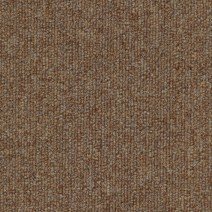 We finish with the Beige carpet tiles in our nylon selection, these are the Compass Beige, a classy golden loop pile carpet square with a fine mix of gold, tan and beige fibres and our cut pile Geneva Beige, this being the top end of our nylon range. These carpet tiles are castor chair suitable and can be used in office spaces or homes and are ideal for both. The nylon products are softer to the touch and also one of the longer wearing fibres used in the production of carpet tiles, a good choice for heavily used areas. To make sure that your carpet tiles provide a safe, trip-hazard free space, we advise the use of an adhesive to secure them laterally. When laying carpet tiles in small areas where you would need around 100 tiles, we suggest using the double sided carpet tile tape, even when laying them dry and fitting them hard against the skirting boards, it would be advisable to use the double sided tape in doorways. For larger rooms the best option is the Carpet Tile Tackifier, this is a solvent free adhesive which produces a permanently tacky film especially suitable for carpet tiles. The tackifier allows the tiles to be individually lifted to be moved or cleaned and then replaced, meaning that spills and soiling can be dealt with efficiently, again extending the life of the already durable carpet tiles.